Orissa is an ancient land that has strong historical associations and the exquisite temples and architectural monuments built here stand testimony to it. 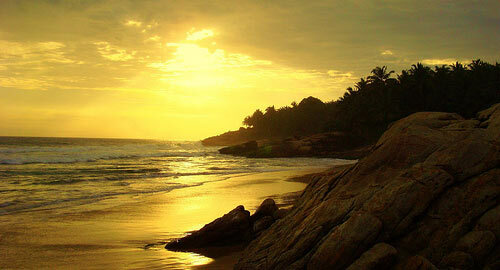 Orissa is a land of unmatched natural splendor that attracts tourists from all over India. Its diverse terrain has been blessed with the rolling hills, bewitching landscape, meandering rivers, impressive lakes and waterfalls. The wildlife of Orissa is also quite well-known and you can also get up close with its wild residents at the Nandankanan National Park. 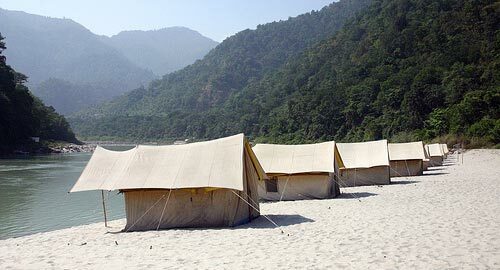 You can explore the beauty of this amazing state with the Orissa tour packages. All the famous places of tourist interest in Orissa are covered by the tour packages including Konark, Puri and Bhubaneshwar. The major attractions you will come across during the tour include Konark Temple, Lingaraj Temple, Chilka Lake, Puri beach, and Lord Jagannath Temple. On your arrival at Puri airport/railway station you will be received by our representatives that assist you to hotel. After check-in the hotel in afternoon take a tour to Raghurajpur village that is famous for Patachitra Artisans village. Enroute visit Sakhigopal temple. By evening back to hotel/resort. Stay overnight at hotel/resort. Early morning after breakfast enjoy hotel’s exclusive beach, Later in afternoon, visit to Ramchandi,15 kms along the beach, on the bank of the river Kushabhadra, is a beautiful little beach. Goddess Ramchandi, the presiding deity of the Konark region is worshiped here. Enroute visit famous Sun Temple of Konark, dedicated to Lord Surya, the Sun god and Chaitana village that is famous for visit to stone carving artisan village at Chaitana. Stay overnight at hotel/resort. Early morning you will be given wake- up call. Our representative help you to transfer to one of the most sacred temple Lord Jagannath Temple, 12th century temple well known for its annual Rath Yatra or Car festival. Thereafter you can go to Bada Dand that is one of the famous shoppers delight. In afternoon you can enjoy special Ayurvedic massage or optionally enjoy other leisure’s available at hotel. Stay Overnight stay at hotel/resort. After breakfast proceed for a day excursion to Satpada (Dolphin Island) a retreat in nature of Chilka Lake and enjoy the boat ride where you will see Dolphins, subsequently visit Virgin Island where seawater & rivers meet (the backwaters). By evening return to the hotel for overnight stay at hotel/Resort. After breakfast check -out from the hotel and proceed to Bhubaneswar. Enroute visit the famous Pipli Village - one of the most important cottage industries encouraged by creation of appliqué patch work. Following it visit Dhauligiri the famous Japanese temple on the hill. On arrival at Bhubaneswar check-in to the hotel. In afternoon visit to Rajarani and Mukteshwar temple followed by local sightseeing of Bhubaneswar with shopping. Stay overnight at hotel/resort. Early in the morning after breakfast proceed to day excursion to Lalitgiri and Ratnagiri (100 Kms. / 3hrs.) Lalitgiri is famous for brick pagodas stone porches and prayer halls while at Ratnagiri you will find two large monasteries, a huge stupa, Buddhist shrines and numerous sculptors, that is one of the ancient heritage sites of Buddhist as well as Jain. Evening return to hotel. Stay overnight at hotel. After breakfast check- out from the hotel and proceed to Chilka. Enroute visit Nandankanan Sanctuary and Biological Park, established in 1979, where you can frequently see Gharials (Crocodile) and White Tigers. Here you can enjoy Jungle Safari. After safari check-in at the hotel at Chilka Lake, one of Asia's largest brackish water lake that is dotted with beautiful islands, it has rich variety of aquatic fauna and it is a bird watcher's paradise where migratory birds arrive in winter from Siberia. Thereafter visit goddess Kalijai Island by boat back to the hotel. Stay overnight at hotel/resort. Early morning after breakfast check-out from hotel and proceed to Gopalpur. After arrival check-in at your hotel and day at leisure at the virgin beach. In Afternoon visit one of the major commercial towns of Orissa. Berhampur which is popularly known as ethnic gold and silver jewelleries, Silk Sarees and Handicrafts. Evening back to hotel/Resort with free time for shopping. Stay overnight at hotel. After breakfast pack up your luggage and check-out from the hotel. Our representative help you to transfer to Bhubaneshwar en route visit to Berhampur-nicknamed "The Silk City", also dubbed as Dance city. Berhampur is the third largest city in Orissa, a hub of trade and commerce and well known for its exquisite silk sarees and handlooms. After arrival at Bhubaneswar, check- in at hotel/resort. Stay overnight at Hotel/Resort. Morning after breakfast free time at leisure till check out. Transfer to Airport/Bhubaneswar for onward journey.